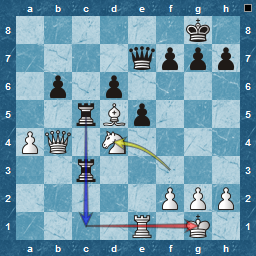 Yes, its from blitz, so maybe not the best play to reach it, but an intriguing position, showing that best play and a key move will draw, but missing that ( even if given many opportunities ) can be disastrous. Black continued f5. 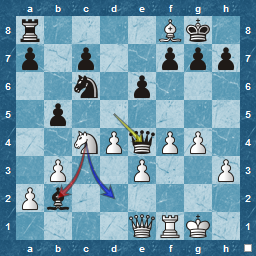 Nothing wrong with that, but he didn't played the key move in the next few moves either and his mistake was game-losing ! I have cut back on blitz since I am not quick enough for it ! 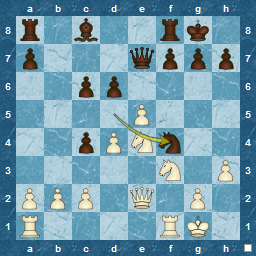 I don't think its bad to play, but you need to take care not to overdo it, and ( if using it as part of chess improvement ) review the games as well. 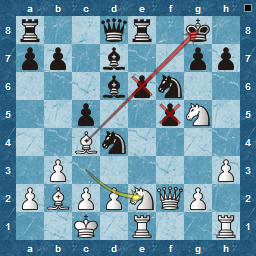 Here's one from today, interesting for me as I am White vs a Philidor, a defence I love to play myself. 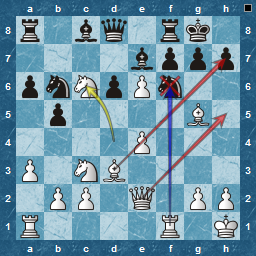 ...as Nc6 actually transforms into an Italian game motif rather than a continuing Philidor ! 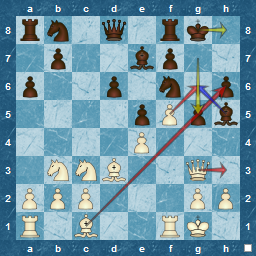 Hence the threat vs f3 which I don't consider too much. 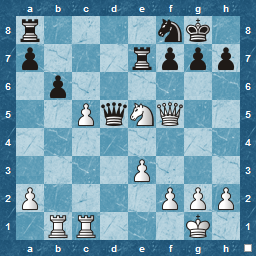 Understandably, I should have met Bg4 with f3, and not worry about pawn structure ! 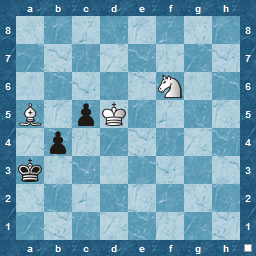 Although, finally I win with a discovered check that Black evidently doesn't see.. 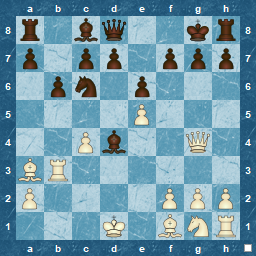 I'm going to attribute this to my current re-reading : Martin Weteschnik's Understanding Chess Tactics, to encourage myself to keep reading it ! 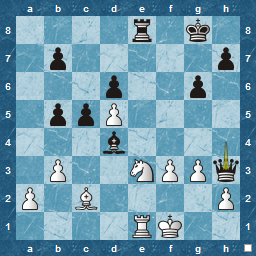 Another loss, this time in a Sicilian Scheveningen ( maybe, with 2...Nc6, a Taimanov ), although not in the opening, which I play in a competent, if not inspired way. 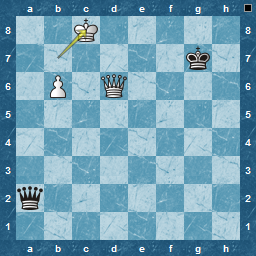 An over-looked response, and then an inability to find a proper response after that, was the direct cause, although I think it has more to do with a failure to find a plan, and a concentration on tactics as an end, rather than a means. 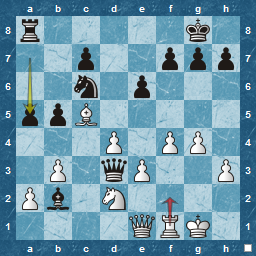 So two moments of blindness, failing to see Black's response 17...Bd8 and then not finding the saving move to attack the d-pawn and defend the Bishop with 20.Qd2, Losing the Bishop was really the end of the game, and although it took Black some time to break through, once he did ( 35...b4), I had few opportunities left, being a full rook down ! 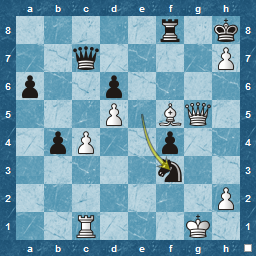 Although it was a vain hope ( ie waiting for a mistake ) , I feel I played the endgame well, finding moves to ensure that Black had to think to win. Admittedly, though, he played it adequately and had plenty of slack with the mistakes he made, being so far ahead on material ! 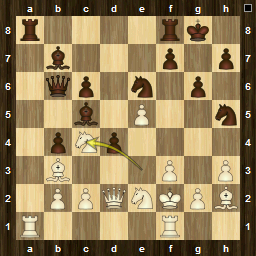 Move 8. I chose Be2, but I think Nxc6 is equally good. 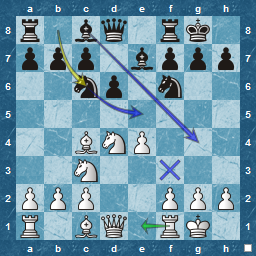 My choice is an example of not really playing the position, but rather sticking to what I know are accepted opening moves. Lazy, really. 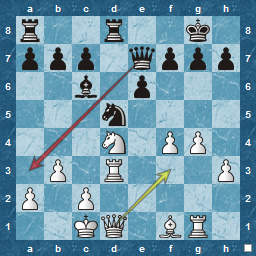 8: Be2 or Nxc6 ? What was I thinking of with 17.h3 ? 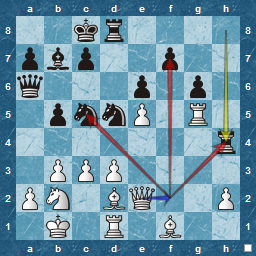 To prepare g4 with some idea of threatening the Queen. Entirely focused on my tactics rather than thinking what my opponent can do to upset me ! 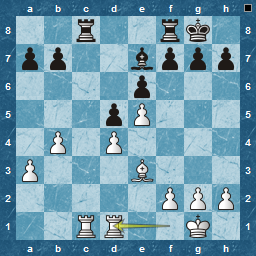 Much better was 17.Qd2, attacking the d6 pawn and ensuring the subsequent exchanges are not terminal for White. 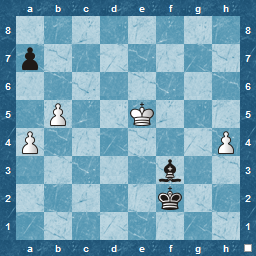 Overall, not my best chess moment, but still something to take away, and a need to concentrate on plan-forming and blunder-checking next time around. 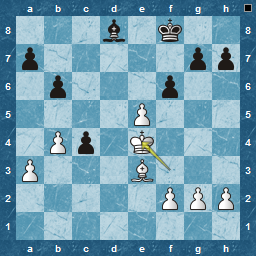 A second loss in the tournament, but overall a satisfactory game. 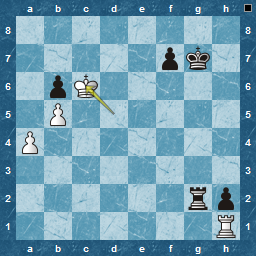 I felt a little angry with myself for losing this one, after I had fought back so well. 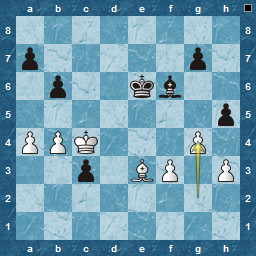 I thought I had done enough for a draw and was surprised when my offer wasn't accepted, as we were both short on time. 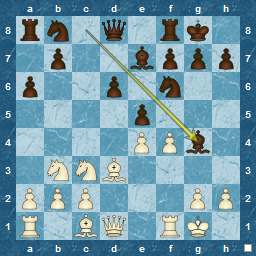 This resulted in a drop in the 'chess factor' , and the inevitable blunder happened : unfortunately, mine ! 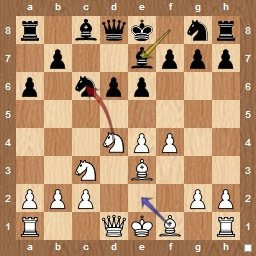 Regardless, here is the game, a Philidor again, although with a very passive White approach in the opening in my opinion. 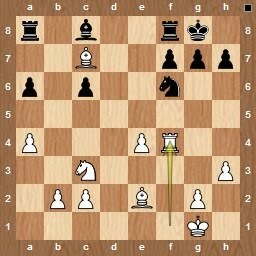 I watched the Rising Stars vs Experience and was fascinated by the Howell - Gelfand match. 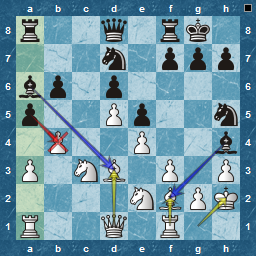 Gelfand's Petroff proved less than boring and Howell took it right to the end. 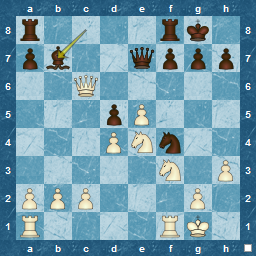 Unfortunately, in time trouble, he selected the wrong move, and although we saw 4 Queens on the board, it was already lost. 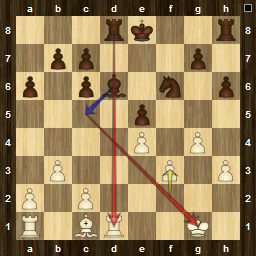 The better move was Qg8+, which keeps him in the game and maybe chances of a draw. 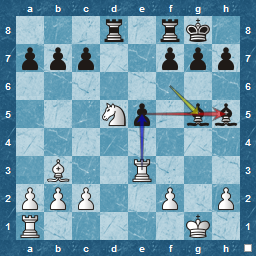 ... even Grandmasters make mistakes. This was a strange game. 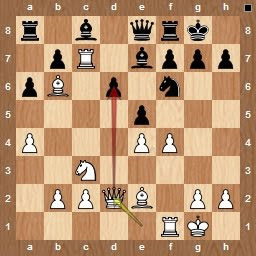 White seems to have his own 'system' based on loads of pawn moves, setting up a white-square bind ( maybe its a hedgehog-opening ), which seems to rely on White gaining lots of time, and waiting for a Black mistake. 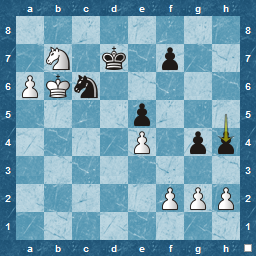 Inevitably, I obliged, losing Rook for Bishop, but fought back , provoking a similar mistake and equality. ..but further exchanges leaves a classic R vs R + P ending. 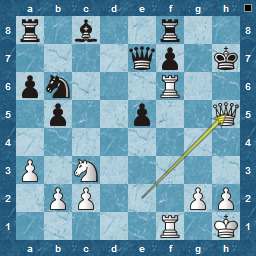 You'd think we should know these, but in this case my opponent makes the most basic of mistakes, allowing his rook to be skewered. 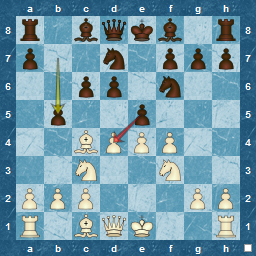 Although he plays on, I make sure that I don't make a similar error and his pawn falls. 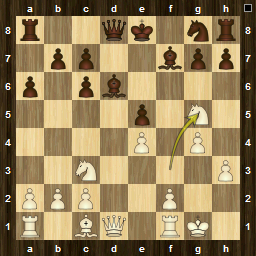 This excellent annual tournament has just started. Last year was a good one, so I am hoping for the same. 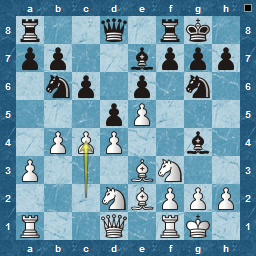 Opening games include Nakamura – Ljubojevic, which definitely meets the experience criteria, and Giri – Svidler which scores high on Rising Stars ( & relatively local talent in Anish Giri ). See this for a direct link to the live games that appear to have live commentary from ICC.FM ! 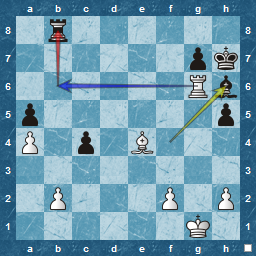 Currently commenting on Caruana - van Wely, which seems to be heading for a Caruana victory (update: it was a draw - so much for chess.fm and my opinions ), and now Howell - Gelfand which is a main-line Petroff until White's 17th move, when g4 is played. 17 moves ? I'm lucky to make 10, and that requires a lot of co-operation from the opposition ! Nxc3 is a win ! 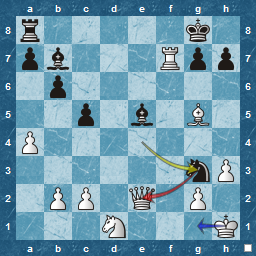 It is probably true that endgames are the weakest part of amateur chess. 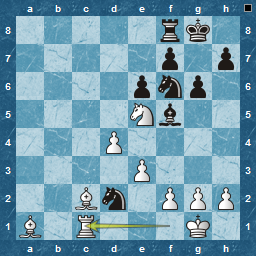 ...but I always play on a couple of moves in blitz just in case, and here, I realise that White does not know what to do. 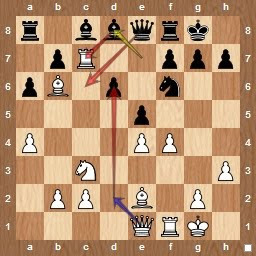 In endgames, not only do you have to play to defend, but you must always keep checkmate in mind when many pieces are on the board. 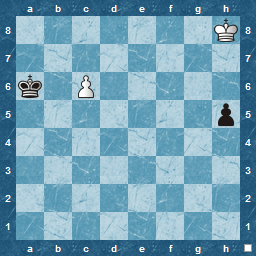 ...and falls to a rook and lowly pawn.